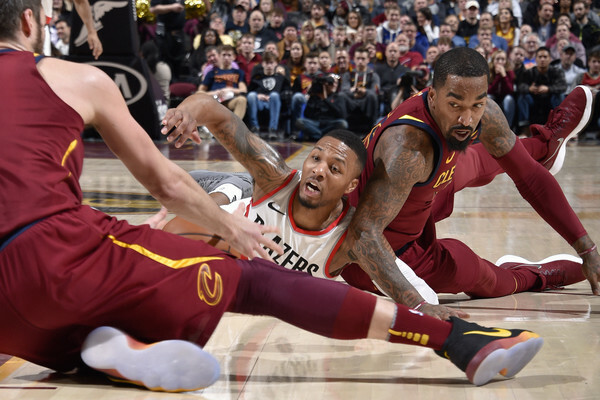 Damian Lillard has J.R. Smith‘s back. So it seems, at least. After the NBA told Smith to cover up his “Supreme” tattoo last week, Smith angrily responded with a passionate rebuttal on social media. This quickly caught steam around the league, with Lillard being one of the more noteworthy stars to question the league’s statement. Jr Smith really gone get fined for showing his tat? They own his body ? The reason behind the league’s proclamation is purely financial; the NBA has an apparel contract with Nike, and Supreme is one of Nike’s largest competitors. Still, it is quite perplexing as to why such a statement would be issued when many players have their own shoe lines with other Nike competitors such as Adidas and Under Armour. Smith did cover up the tattoo in the Cleveland Cavaliers‘ first preseason game against the Boston Celtics Tuesday night. Whether the league will take back its statement should more NBA stars speak out is yet to be seen, but the proclamation itself has surely puzzled many.